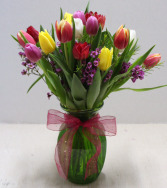 Bright colorful tulips arranged with fragrant waxflower in a glass vase with a coordinating ribbon. 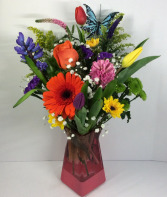 Vase and tulip colors vary upon availability. 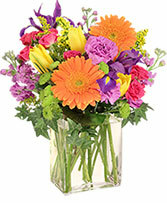 Send this amazing, bright, springy vase for any occasion! 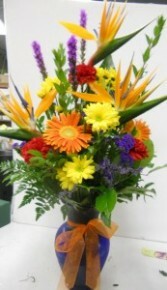 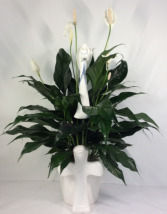 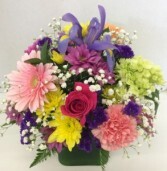 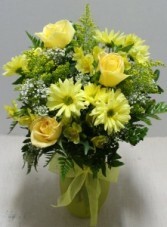 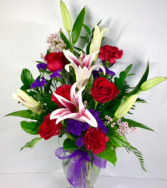 It has a variety of spring flowers like tulips, gerbera daisy, hyacinth, rose ,mums and fillers. 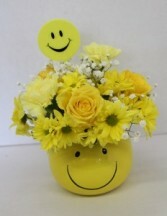 This is sure to put a huge smile on someone's face and make their day! 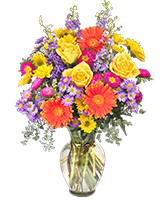 Vase color and style may vary upon availability. 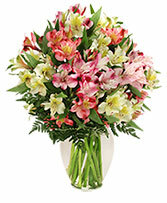 Enjoy the beauty of these spring bulb plants inside now and then plant them outside and enjoy them for years to come! 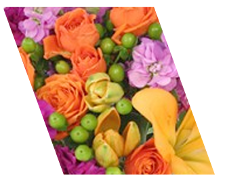 It is in a decorative metal planter and includes mixed bulb plants like iris, daffodils, tulips and hyacinth and has assorted mosses.